I recently had the privilege to attend my first Preacher’s Study in Grapevine, Texas where many thought-provoking topics were presented and left me with a lot to ponder over. To me, the most impactful topics that were presented were the informative and sobering topics on individuals who have impacted the Restoration Movement. Those who were spoken of over the three and a half day study include: Daniel Sommer by Clinton De France, Roy Cogdill by Ronny Wade, and W. Carl Ketcherside by Richard Bunner. I was specifically astounded by brother Richard’s talk over brother Ketcherside. He was said to be an outstanding orator and debater, and was among those regarded as one of the most influential members of our brotherhood, especially in today’s age. His preaching career started young as most gospel preachers did in that day, and his influence and skill was highly regarded in our brotherhood, and still is. I was appalled by the transformation brother Ketcherside had on that fateful day in Belfast, Ireland, where he made the decision to re-evaluate every doctrine he believed. He became an advocate for unity and conformity, beginning to teach that we should fellowship anyone and everyone, regardless of denominational background, sexuality, or other “discriminatory” means. He took many a member of our brotherhood with him as he traveled this path. I believe this stresses the importance of not letting many of us become teachers, for we shall receive a stricter judgment (James 3:1). We should strive as teachers (if we desire to be one) to teach the whole counsel of God (Acts 20:27), and to rightly divide the word of truth so that we can show ourselves approved unto God (2 Timothy 2:15). Anything that contradicts the word of God is false doctrine. The story of brother Ketcherside is saddening, but somber thought to those who aspire to become gospel preachers. May our Bible study be pure in the sight of a holy God. ​Almost every professional athlete and pop star have fan pages on Twitter, Instagram, Facebook, and every other social media network out there. The only requirement to be their fan typically entails the click of a “follow” or “like” button. Most public figures do not intentionally turn away anyone from following them. Instead, they promote such activity in the event that this leads to more attention and revenue. In a similar fashion, the masses today would like to do the same with Jesus Christ. ​Many Americans like the idea of Jesus. Here is the definition of “many,” in this context. In 2015 the Pew Research Center interviewed over 35,000 Americans to determine religious affiliation. An overwhelming percentage highlighted Christianity as the leading religious following among Americans, ranking number one with 70.6% of Americans putting their faith in some denomination of Christianity. However, this percentage means nothing more than this: the person answering the telephone stated their faith lay in…(insert faith name). Anybody can say they are a fan of Jesus, but unlike public figures of today, Jesus does not have a Twitter page and doesn’t let just anyone follow Him. ​Jesus said to His critics of the day, “He who is not with Me is against Me, and he who does not gather with Me scatters,” (Luke 11:23). This single statement rules out any followers of Jesus who are just along for the ride. Should John Doe say that he is a fan of Jesus, likes the idea of Jesus, states there is good to be had in Jesus’ teachings, but does not full heartedly stand next to Jesus and His cause: John Doe is actually against Jesus. There is safety in saying that John Doe is the enemy of Jesus based off the words of Messiah in Luke 11. ​The New Testament scriptures abound with sentiments that echo Jesus’ statement in Luke 11. Jesus would later say, “Whoever does not bear his cross and come after Me cannot be My disciple,” (Luke 14:27). Jesus told the rich young ruler after acknowledging that he had observed Moses’ Ten Commandments from birth, “You still lack one thing. 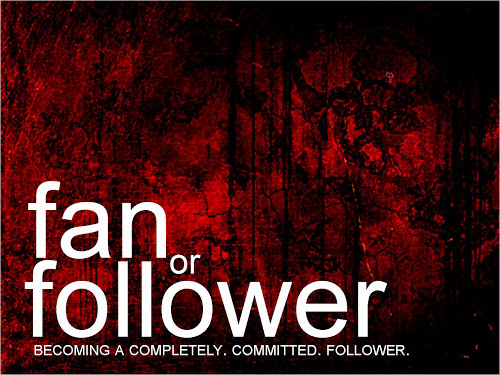 Sell all that you have and distribute to the poor, and you will have treasure in heaven, and come follow Me. But when he heard this, he became very sorrowful, for he was very rich,” (Luke 18:22-23). In John 6 Jesus relayed that He was equal with God by calling Himself the bread of life (v 48). In this exposition He used much figurative speech and finished the short sermon by telling His followers, “Therefore I have said to you that no one can come to Me unless it has been granted to him by My Father,” (John 6:65). The writer John then explained that this saying caused many of Jesus’ disciples to turn back and cease from following Him. ​All these passages teach the same message: if a person is not 100% committed to following Jesus’ doctrine and life then they are nothing more than a fan, and a sad one at that. Unfortunately, most celebrity fans never get to meet the actual public figure they admire so greatly. So will be the dismal case on the day of judgment for those said fans of Jesus who only wish to admire Him from a distance. Firstly, Peter argues that Jesus was not the one abandoned to Hades. The first scripture Peter quotes is his defense of Jesus is Psalm 16:8-11, which states: “I have set the Lord continually before me; Because He is at my right hand, I will not be shaken. Therefore my heart is glad and my glory rejoices; My flesh also will dwell securely. For You will not abandon my soul to Sheol; Nor will You allow Your Holy One to undergo decay.” Peter identifies and explains this scripture as a prophecy of the resurrection of Jesus Christ, for Jesus’ flesh did not suffer decay and his soul was not abandoned to Hades. Secondly, Jesus was the individual spoken of in Psalm 110. Peter says Jesus was exalted to the right hand of God, not David. David surely died; Peter says his tomb is with us to this day. But where is Jesus’? The stone is rolled away! But the one supreme argument is this: the fulfillment of OT Prophecy. Mark 16:20 and Hebrews 2:1-4 say that miracles were a confirmation of the claims that men made. Jesus’ claims of being the promised Messiah and the Son of God were affirmed by miracles. When the prophet told the leper to dunk in the Jordan seven times and he will be cleansed, that statement was affirmed when the leper came out of the water the seventh time. Peter thoroughly understood the concept that Jesus was the Christ that had been promised for so many years, known as “The Deliverer.” But what does this mean to the modern age of today? We will now examine the prophetic, priestly and kingly rolls of Jesus by historical examples from Israel and show how Jesus fulfills all of these roles for the people of God in this day and time. Firstly, the prophetic role. As discussed earlier, a prophet is defined as a person regarded as an inspired teacher or proclaimer of the Will of God. Moses was very much a prophet. He proclaimed the Will of God at Mt. Sinai when the Commandments were given. But how did Jesus fulfill this role? There is a passage of scripture where we find Jesus proclaiming the will of God, and it is found in Matthew 12:17-20, where Jesus fulfills the prophecy found in Isaiah 42. Jesus proclaimed the Will of God through the Gentiles, in this case. But that is not the only recorded instance that we find. Thirdly and lastly, the kingly role. A king is obviously one who rules over something, or literally defined as a person or thing regarded as the finest or most important in their sphere or group. Jesus very much was a ruler, and very much was important. But we know that the kings we think of today were earthly. Jesus’ kingdom is not. He told Pilate that in John 18:36-37. “Jesus answered, “My kingdom is not of this world. If My kingdom were of this world, My servants would fight, so that I should not be delivered to the Jews; but now My kingdom is not from here.” Pilate therefore said to Him, “Are You a king then?” Jesus answered, “You say rightly that I am a king. For this cause I was born, and for this cause I have come into the world, that I should bear witness to the truth. Everyone who is of the truth hears My voice.” The key scripture I found is Matthew 21:5, where Jesus fulfills the prophecy in Zechariah 9. The “daughter of Zion” spoken of is actually a metaphor for the relationship that God has with His people. This prophecy speaks of Jesus, and He fulfills it. I believe that everyone would agree that a public confession of faith must be made in order to continue the process of accepting the Lord’s gift of Salvation. This confession that we make is similar to the confession that Peter made in Matthew 16:15-16, “He said to them, “But who do you say that I am?” Simon Peter answered, “You are the Christ, the Son of the living God.” This certainly is an interesting statement. Peter knew that Jesus was the ‘Christ,’ that had been promised through the prophets and God. Christ is translated to mean, anointed, which can be translated as, consecrated which can be translated to set apart. If we study through the Old Testament we find that three things were anointed: Priests, Prophets, and Kings. How does this apply to Jesus? We would like to focus our study on examining what this statement really means, and what it means to confess Jesus as the Son of God and the Christ, and to demonstrate the importance of this concept. Any reader of the Old Testament scriptures would come across certain statements that seem supernatural in nature. These are called “prophecies,” meaning, a prediction of what will happen in the future. We see a lot of prophecies throughout the Old Testament of things to come. 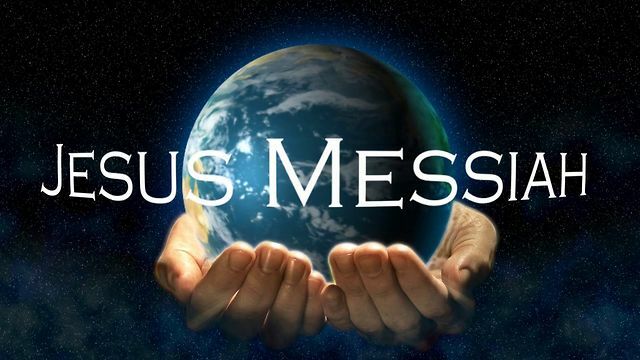 But the groups of prophecies we wish to focus on are the prophecies concerning a Messiah, or “the promised deliverer.” There are over 300 prophecies about this Messiah in the Old Testament, but I wish to focus on the prophecies that convey to us that this Messiah would hold three offices at the same time: Prophet, Priest, and King. First, the King: Genesis 49:10 states: “The scepter shall not depart from Judah, Nor a lawgiver from between his feet, Until Shiloh comes; And to Him shall be the obedience of the people.” We see the prophecy here from a dying Jacob about how the ruler’s scepter will not depart from him until Shiloh (translated in the Vulgate as “he who is to be sent”) comes, and how when that person comes then HE will have the obedience of the people (Isaiah 9:6 “For unto us a Child is born, Unto us a Son is given; And the government will be upon His shoulder. And His name will be called Wonderful, Counselor, Mighty God, Everlasting Father, Prince of Peace.” Psalm 110:1 “The Lord said to my Lord, “Sit at My right hand, Till I make Your enemies Your footstool.” The Lord shall send the rod of Your strength out of Zion. Rule in the midst of Your enemies!” We will examine this prophecy a little more in depth later. But this is just the beginning. In 2 Samuel 7:12-16 is the covenant, often called the Davidic Covenant, established with David which says that a kingdom will be established, and the throne of David will be forever. “When your days are fulfilled and you rest with your fathers, I will set up your seed after you, who will come from your body, and I will establish his kingdom. He shall build a house for My name, and I will establish the throne of his kingdom forever. I will be his Father, and he shall be My son. If he commits iniquity, I will chasten him with the rod of men and with the blows of the sons of men. But My mercy shall not depart from him, as I took it from Saul, whom I removed from before you. And your house and your kingdom shall be established forever before you. Your throne shall be established forever.” Now this prophecy is talking about both Christ and Solomon, since Solomon came and built the temple, and Solomon was the seed of David, but Jesus is the ULTIMATE fulfillment. Solomon did build the temple in God’s name, Solomon WAS David’s literal seed; but Jesus was from the lineage of David, Jesus established a kingdom, Jesus is sitting on the throne eternal at the right hand of God. Second, the Priest: Psalm 110:4 prophecies that the Messiah will be a High Priest according to the order of Melchizedek, “The Lord has sworn, And will not relent, “You are a priest forever, According to the order of Melchizedek.”” Now, a priest was someone who interceded sacrifices on behalf of the people. This, Melchizedek was one of these (Genesis 14:18), and this prophecy states that the Messiah’s priesthood would be according to the order that this priest established. Obviously there were different views about this expected Messiah from the crowds. The Pharisees were expecting a King to be the promised one, but the Sadducees believed that a Priest would be the promised one. However, the Sadducees emphasized this priestly role. It was not an either/or thing, where there was a blurred line. But the Pharisees explicitly expected JUST a King. Now let us look at a New Testament example in which the Messiahship of Jesus is established and defended. The first Gospel Sermon on the Day of Pentecost is where we wish to examine. Peter makes notably two arguments for the messiahship of Christ in Acts 2:22-36. Lord willing, we will examine these in the second installment of this article.